I scheduled this post for 2:00 pm to coincide with the Hall of Fame induction announcment. 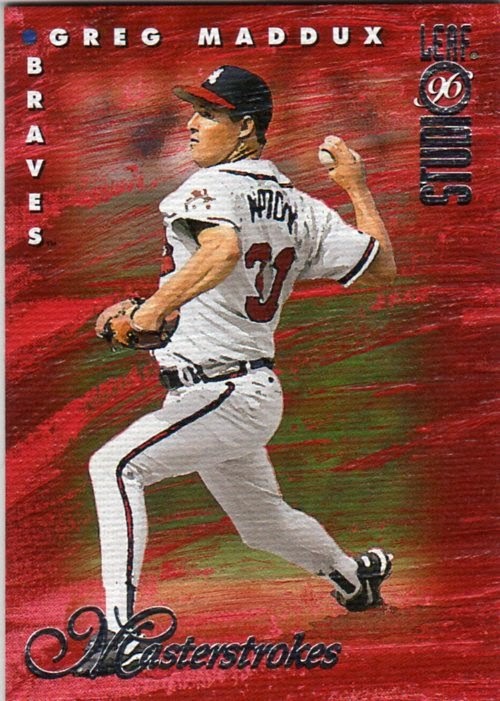 Right now I'm probably weeping with joy at my desk at work because Maddux is a Hall of Famer. If Tommy got in too I'm probably howling. 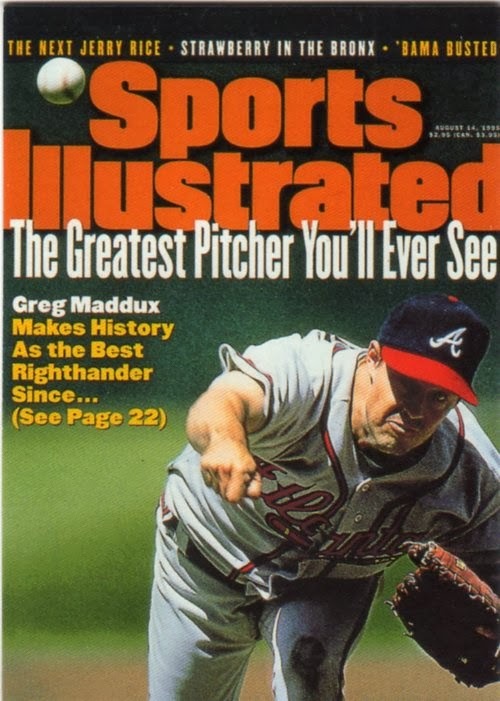 If Maddux beat Seaver's vote percentage record I'm probably pumping my fist. And maybe dancing on my laptop if Frank got in too. Naked, probably. I'm probably getting escorted from the building right now actually. Who cares, Greg's a legend. 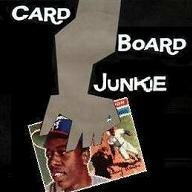 I'm posting three cards from each player who gets inducted today. One Iconic card (to me at least), one cool looking card and one for the Mojo lovers. I'm spreading the posts out a bit so I can quickly delete posts and/or scan cards when I get home tonight. I'm posting Greg first because if he doesn't get in I'm setting Cooperstown on fire. 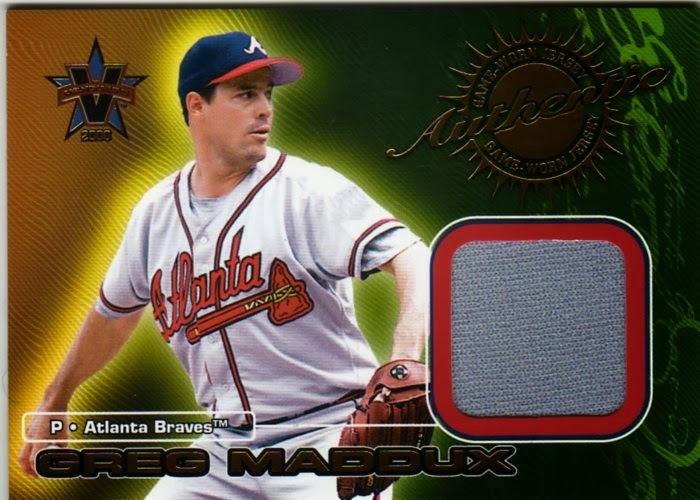 My favorite Maddux card by far. Yeah, it's just a SI cover in card form but it's a helluva SI cover. And absolutely correct. I do kind of wonder who the next Jerry Rice is now. This isn't the actual insert but a promo card I got in 1996 at the best card shop I will ever go to.The story is quite odd, some guy wandered in the shop (a distributor I guess?) gave a few of these cards to the shop owner and he immediately gave one to me. It's a very lovely looking fake painty canvassy looking thing in person. A relic card from back when relic cards actually meant something. This isn't the first relic card I ever owned but it's the first relic card I hunted down like a dog and spent too much money on. I don't know how much it's worth today but it's priceless as far as I'm concerned.